Bobcat photo © Robin Silver, Center for Biological Diversity. SALINAS, Calif.— (ENEWSPF)–June 2, 2016. Animal protection and conservation organizations filed a lawsuit today challenging Monterey County’s contract renewal with the U.S. Department of Agriculture’s Wildlife Services — a notorious federal wildlife-killing program that has killed more than 3,000 coyotes, bobcats, mountain lions and other animals in the county in the past six years. Nationwide, Wildlife Services killed more than 2.7 million animals in 2014 (the last year for which data is available). The agency’s use of poison and traps has also injured people and killed more than 1,100 dogs since 2000. Today’s lawsuit notes that Monterey County’s renewal of the contract violates the California Environmental Quality Act (CEQA) because the county failed to analyze the environmental impacts of its agreement and wrongfully claimed an exemption from CEQA. Also, the county held no public hearings about a CEQA exemption claim, and has not disclosed the details of its agreement with Wildlife Services. A Monterey County resident joined with Animal Legal Defense Fund, the Animal Welfare Institute, the Center for Biological Diversity, the Natural Resources Defense Council, Project Coyote and the Mountain Lion Foundation to file today’s lawsuit. Monterey County’s previous contract authorized Wildlife Services to kill hundreds of coyotes, as well as bobcats, mountain lions and other animals every year without fully assessing the ecological damage or considering alternatives. 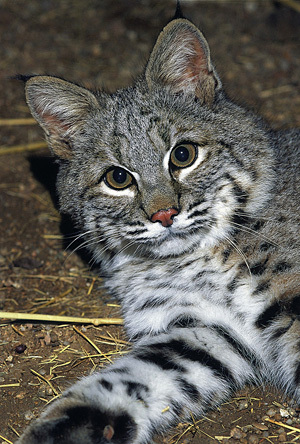 Over the past six years, Wildlife Services has killed 3,563 animals in Monterey County using traps, snares and firearms. From June 2014 to June 2015 alone, Wildlife Services killed 105 coyotes, three mountain lions and two bobcats. Peer-reviewed research shows that such reckless slaughter of animals — particularly predators — results in broad ecological destruction and loss of biodiversity. The program’s controversial and indiscriminate killing methods have come under increased scrutiny from scientists, the public and government officials. In addition, the program has been responsible for the deaths of many threatened and endangered species, as well as family pets. The Center for Biological Diversity is a national, nonprofit conservation organization with more than 1 million members and online activists dedicated to the protection of endangered species and wild places: biologicaldiversity.org. Project Coyote, a national non-profit organization headquartered in Northern California, is a North American coalition of wildlife educators, scientists, ranchers, and community leaders promoting coexistence between people and wildlife, and compassionate conservation through education, science, and advocacy. For more information, visit ProjectCoyote.org.